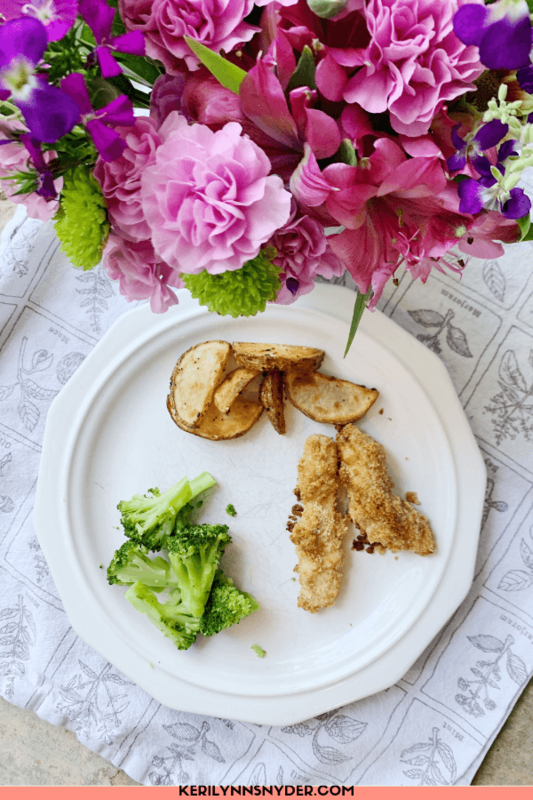 Try this family favorite recipe: chicken tenders! Your kids will love this easy recipe! 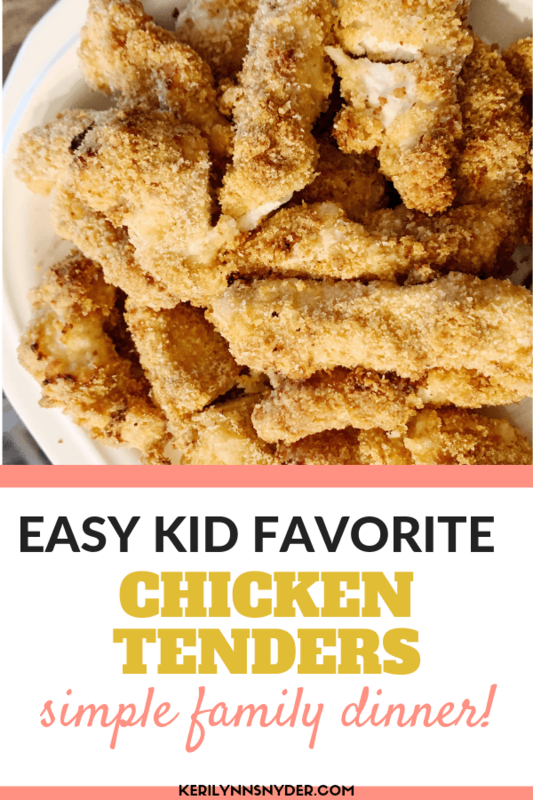 My kids love these crispy chicken tenders! 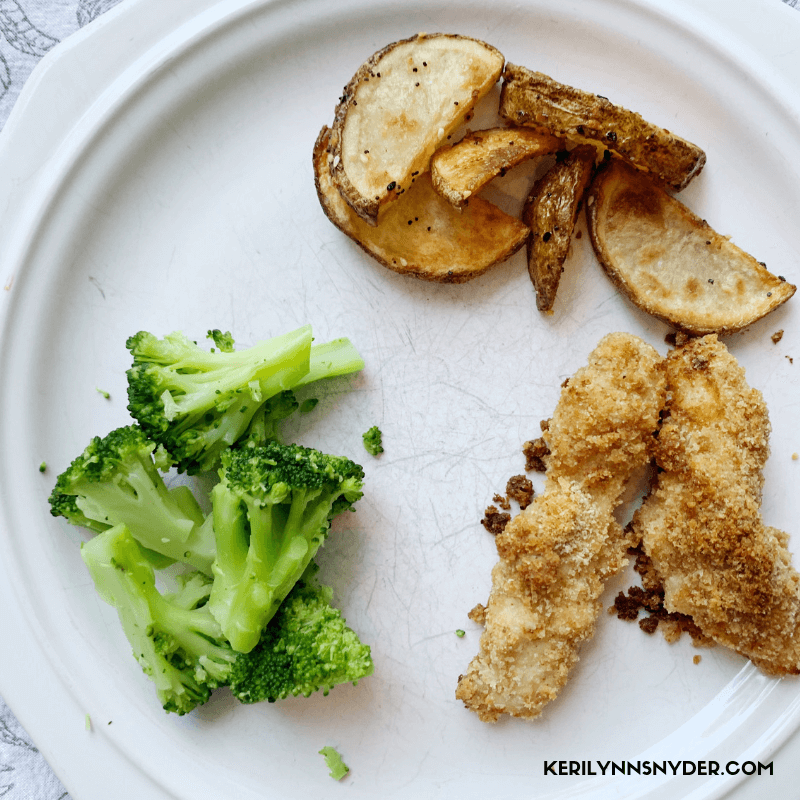 This meal is easy and always a win for my kids. Honestly, I love these as well! If we have leftovers, I love to have them over a salad. Delicious! 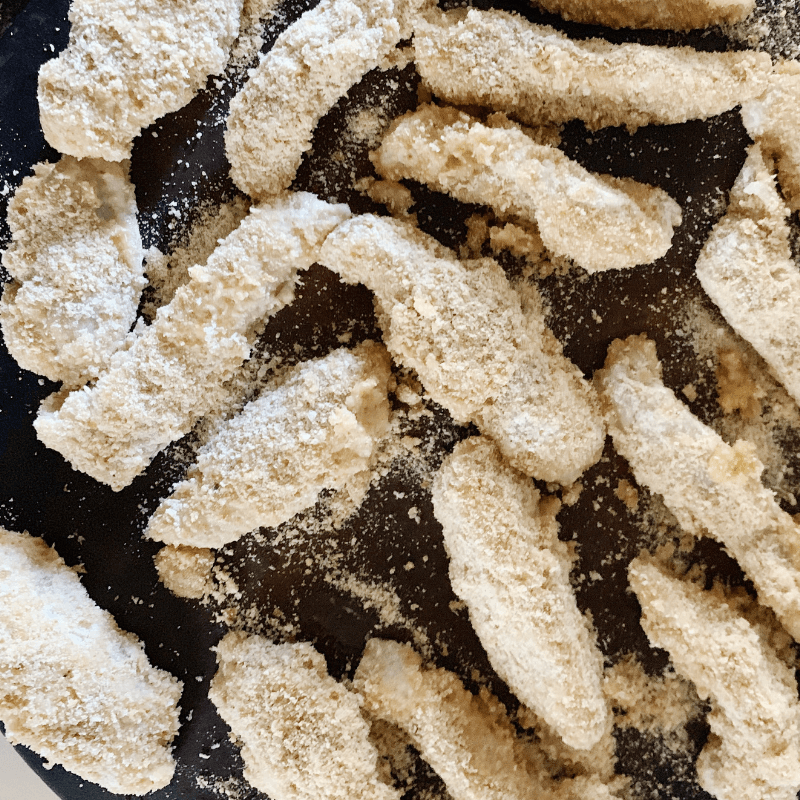 Making the chicken tenders is easier than you would think! You can use the spices I share in the ingredient list or try out using Everything Bagel seasoning. I get mine from Lidl but know Trader Joes has it. SO tasty! Ready to try them out? Okay, grab the recipe and get started! The best part is you probably have most of the ingredients already! Combine the flour and spices. Put the bread crumbs in a bowl. 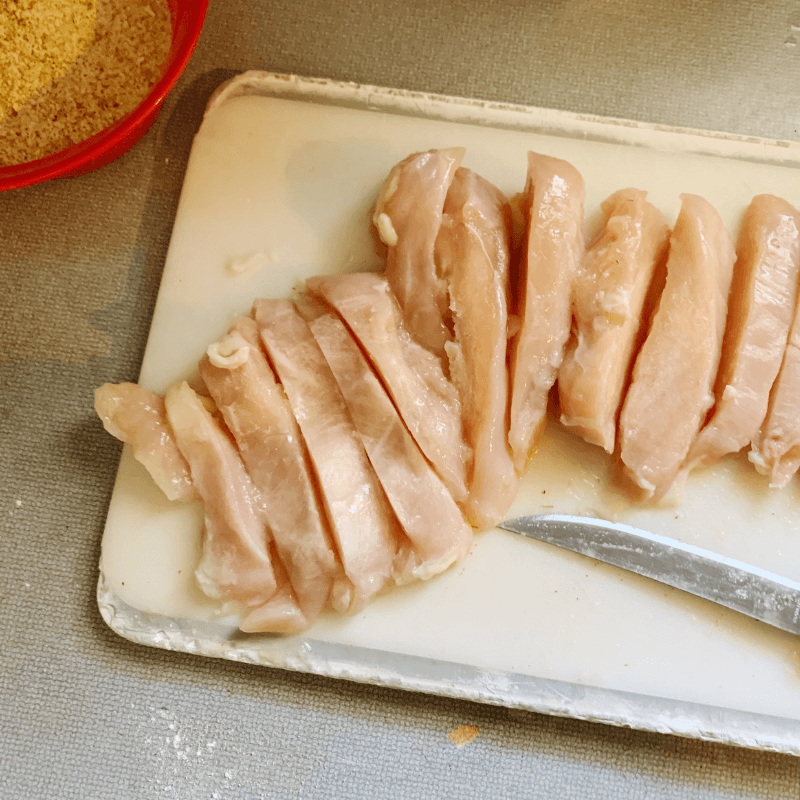 Slice up the chicken breasts into thin pieces. Dip one piece of chicken in flour, butter, bread crumbs. Then lay on greased baking sheet. Repeat for all pieces of chicken. This can be a freezer meal! After you have all of the chicken prepped, carefully lay in a freezer bag or freezer dish. Then once you are ready to cook, just take out and defrost in fridge. Then bake as usual. These are delicious to have with a side salad and oven baked fries! 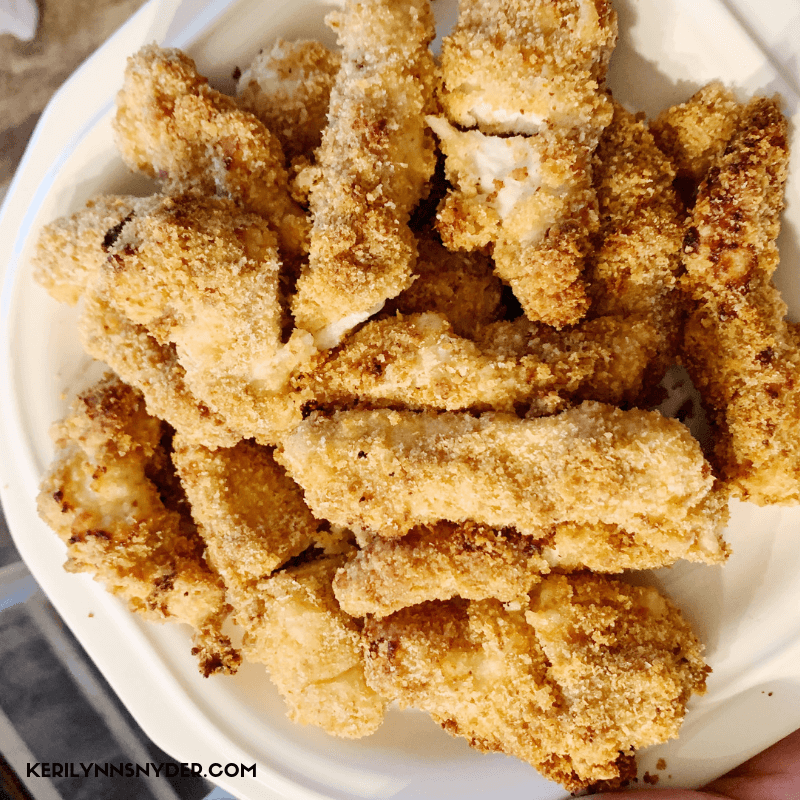 We love these easy chicken fingers and they are a family favorite every time! Melt the butter. Put the bread crumbs in a bowl. Slice the chicken breasts into pieces. Dip the chicken in the flour, butter, then bread crumbs.